Ok, I've been known to re-purpose things before like when I made a tote bag out of business cards for a friend. Or when I made candy dishes from gladware packaging. (I'll show that one soon - stay tuned!) You get the idea. Anyway, it's just the way my mind works, I see something for what it is but then my mind switches gears and starts designing what it could be. That's what happened with my project for today. It actually came out of need. I don't like stacking my cans. They never stay orderly. They always fall over. Or they get pushed to the back of the cupboard and I forget what I have and it BUGS me. So, I made this. 1- First, I needed an empty fridge pack of soda. My kids were thrilled to find rootbeer in the fridge. I bought it specifically for the packaging - is that wrong? Not really, just backwards, I guess. 2- On the back end of the container I cut out a space that is large enough to put a can of soup in. 3- I grabbed some decorative paper (I used about 3 sheets of 12x12 scrapbook paper) and folded it into place to cover the box. I put everything in place, creased my edges and cut out my opening to fit the one I had cut in step 2. Then I just took some Mod Podge and glued all the paper into place. I did the back end of the box first and let it completely dry. 4- Once the back end was done drying, I grabbed another piece of paper and repeated the steps until the front part is covered. And, just to make it more decorative, I used a coordinating paper for the front. 5- Then I added a label to the front and added a coat of Mod Podge over the whole thing - this gives it a little more strength and will keep the papers from tearing. So, that's it. To use it, I just always add my soups to the back and take from the front, that way they are properly rotated. And, the best thing, I don't have to stack my soups anymore. Plus, each soup flavor is kept together which means no more hunting through my pantry for the flavor needed. I can have a box for chicken noodle, cream of chicken, corn, peas, whatever... And, I can make as many as I need and my cupboard is organized. Yahoo! That is brilliant!! Why didn't I think of that!! the fridge pop boxes will not be an issue here...I love this! I hope mine turn out as cute as yours. I love it!!!! We recycle our soda boxes but this is an even better recycling! What a fantastic idea! Thanks for sharing it with the rest of us!!! I absolutely love this idea and can't wait to implement it for my pantry!!! Thanks for the tute! Why stop at soup? You could use this for all canned goods. What a great idea! What a great blog ... love ur ideas !!! The paper roll pumkin is truly amazing !!! This idea totally rocks. I know what I'll be doing with my next boxes of soda pop. Now I can do it for free. Thanks for posting this. This is a great idea, thank you for sharing. I featured it on my blog and posted a link back to you! WOW! what a cool idea. I made on tonight out of another shape of pop box..Have not decorated it yet, was too excited and in a hurry to load it up and put on my pantry shelf! No more being attacked by soup cans! I love your creativity! This is such a great project....I saw the link for your site on Facebook. I will be visiting you more often. Looks like you have lots of wonderful things to share! How imaginative, and perfect. I can feel better about these boxes now that I know what to do with them! Thanks! Have you tried to use this with the slightly bigger cans? We eat a lot of the Chunky soups. I'm wondering if they'll fit. Hi from your newest google follower/s via coffee and their kisses. We were both featured on their post today. I've personally been known to use old soda boxes for plastic bag holders. It works just as well as the ones that cost 20$ at the store! I'm in awe of creative and smart people. Just became a follower! Oh my freaking goodness! 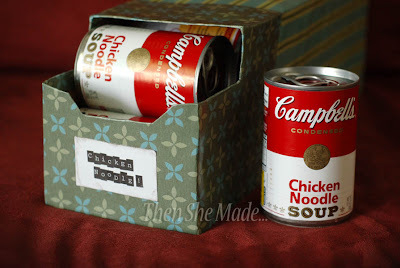 This will so help me organize my can goods. Awesome! I was doing pretty much the same thing with contact paper....yours looks nicer though. The next one I will decorate like yours. I took a soup can label, cut it down and put it on contrasting paper and used clear packing tape to put it on the front of the box. Just an idea.....Thanks for sharing. Linked up to my blog: http://jacquelyncrafts.blogspot.com/. I am the only follower but at least I will be able to find it!!! This is such a great idea...I am going to use it for "whatever" soup...just put a variety in and then use whatever comes up in rotation. Love this so much! After I saw it on pinterest, I made a similar one using chalkboard spray paint! thanks for sharing this wonderful project!! This is too cool! And very frugal! Awesome idea! Also, if you decide you don't want it anymore, you can recycle...and not be out $30! So I modified the box to fit on my pantry shelves which was incredibly easy to do but as a warning to anyone doing this project, this really only works for cans up to 10.5 ounces. I don't have any 12 ounce cans so I can't say if it would work but I imagine it might since the box is intended to house 12oz cans. 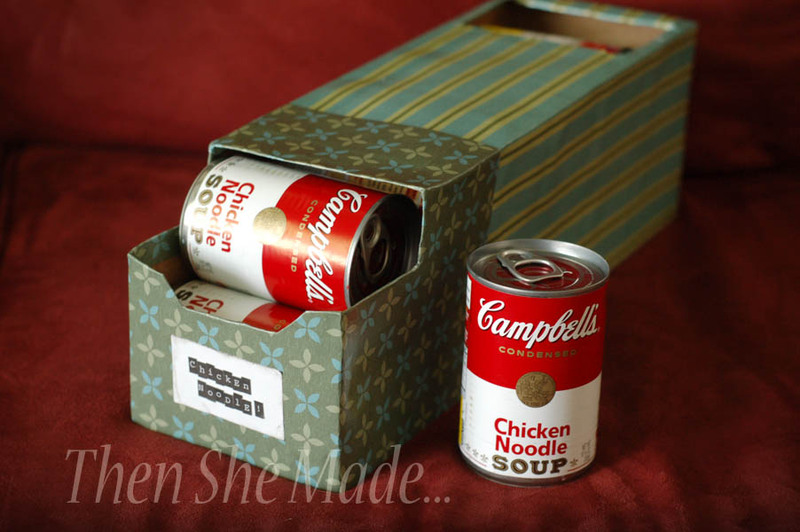 If you're wanting to but 14oz tomatoes or 15oz canned veggies or legumes it doesn't work as well because the cans are too big.So while this is a neat idea, I don't think it will work for me without modifying the box a lot more since we don't use very many canned soups in that particular size. Great tutorial though and a wonderful solution for those that needed a solution for 10.5oz cans! I love this! 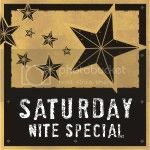 I need to save this for next month on my blog and link back to you! Thank you! LOVE this!!!!!! 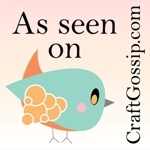 I just posted it on my blog--we are always looking for thrifty ways to organize!!!! Wow I LOVE this idea and I am definitely going to try it!! Linked to this from our blog at www.sistersshoppingonashoestring.com. Our readers will love this! (and I spent way too much time checking out some of your other crafts...and dealing with my feelings of crafty inadequacy!) Thanks for sharing a great project! This is great! Showed it to my husband when he asked why I was saving the boxes. He came up with a "man version" - ducktape instead of paper, etc! They do sell some funky patterned tape these days. Of course, that ups the cost of the project though. Another design is on this page ...http://www.providentliving.org.nz/food-storage/ though harder to make than your wonderful design. I have to say - this is BRILLIANT! Great ideas. I posted your blog link too! Great idea! Thanks for sharing this!! I tried this idea because I was tired of my cans falling over too. Instead of using paper and modge podge I am using the decorative duct tape and taping the boxes all over. It works well. Thanks for the idea. Another one of those "Why didn't I think of that?" ideas. thanks for sharing! This is BRILLIANT! I just got some awesome deals on fridge packs of sodas, so I will be doing this very soon! Thanks for the idea! Found your blog on Pinterest. Great, now I feel like an idiot for not thinking of this myself! I am a Diet Coke-aholic and I am constantly throwing these containers away. Thanks for a great tip! Great site! Found the link in an email from Food Now. I'm in the process of making several of these - waiting for them to dry. Used cheap wrapping paper to cover and think it will work due to Mod Pog coating. 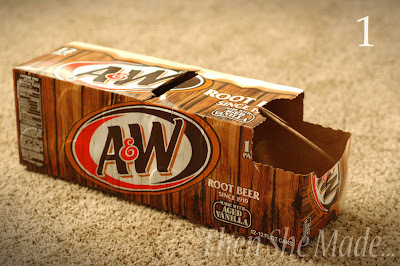 Recycle all cardboard (and everything I can) so always have soda boxes around. Thanks for the great idea! What a FABUOLUS IDEA !!!!! Thanks !